Every single expression every single animal makes in this book causes my heart to melt. Teckentrup can say so much with her illustrations, focusing on body language to convey distress, excitement, nervousness, you name it. 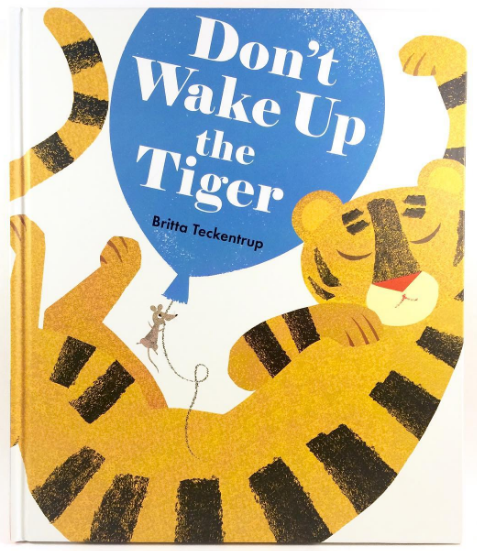 The story is simple but highly interactive, asking readers to pet the tiger and rock the book to keep Tiger from waking up. 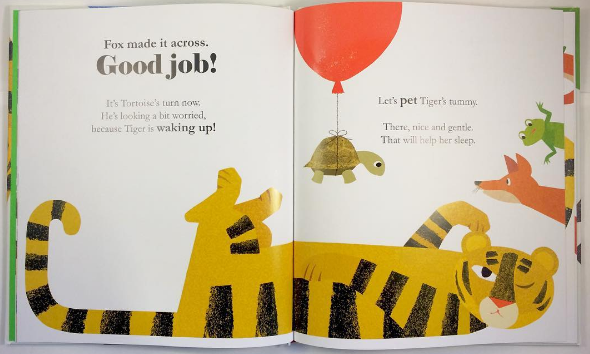 I'd hoped that we'd feel a little velour or something when petting Tiger's tummy, though, especially considering the balloons: they are printed on a shinier piece of paper so they're raised slightly from the rest of the page. But I get that adding fabric into the mix can be tricky, and the last thing this book needs is overcrowding. Teckentrup thrives in her negative space and giant blocks of color. The colors are eye-catching without being overly-layered, and despite the relative flatness of the illustrations, each animal still manages to have its own unique texture. 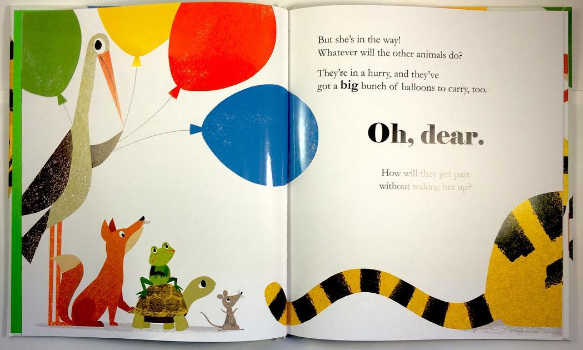 It's a beautiful book with an adorable ending. Don't Wake Up the Tiger is available May 5 (UK) and August 2 (US) from Nosy Crow!